How can I create stacked line graph with matplotlib? 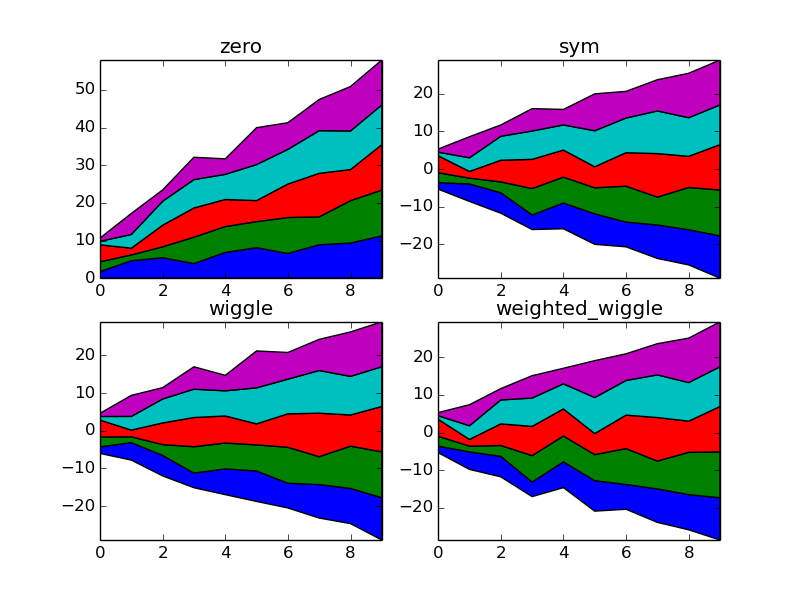 I would like to be able to produce a stacked line graph (similar to the method used here) with Python (preferably using matplotlib, but another library would be fine too). How can I do this? This similar to the stacked bar graph example on their website, except I'd like the top of bar to be connected with a line segment and the area underneath to be filled. I might be able to approximate this by decreasing the gaps between bars and using lots of bars (but this seems like a hack, and besides I'm not sure if it is possible). I believe Area Plot is a common term for this type of plot, and in the specific instance recited in the OP, Stacked Area Plot. 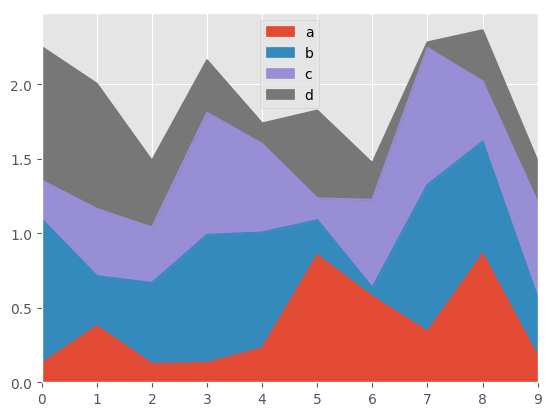 Matplotlib does not have an "out-of-the-box" function that combines both the data processing and drawing/rendering steps to create a this type of plot, but it's easy to roll your own from components supplied by Matplotlib and NumPy. The code below first stacks the data, then draws the plot. 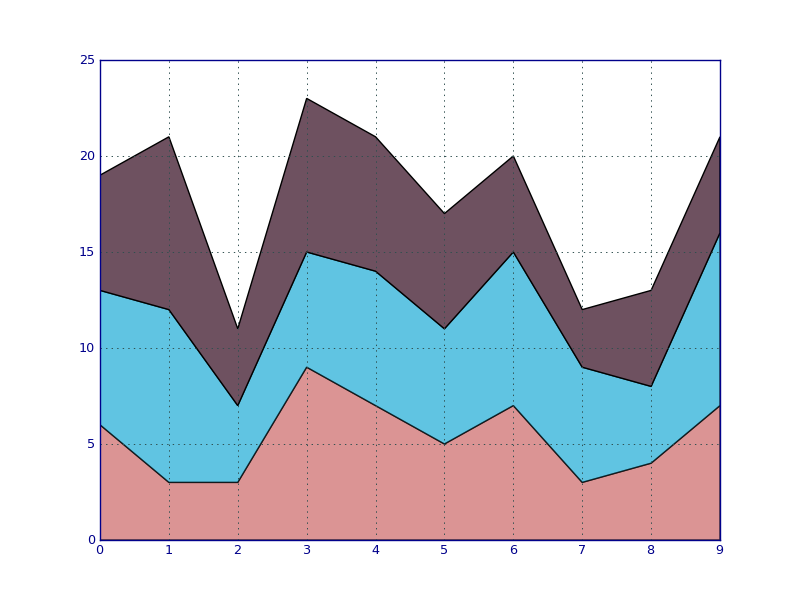 A slightly less hackish way would be to use a line graph in the first place and matplotlib.pyplot.fill_between. To emulate the stacking you have to shift the points up yourself.